Most people lead very hectic lives and it is thus no wonder that issues such as muscle tension, aches and pain are common. When they occur, most people turn to massage therapy to help with relaxing knotted muscles and alleviating muscle pain and ache. However, massage sessions are not very cheap, and they take quite a bit of time, which most people do not have. 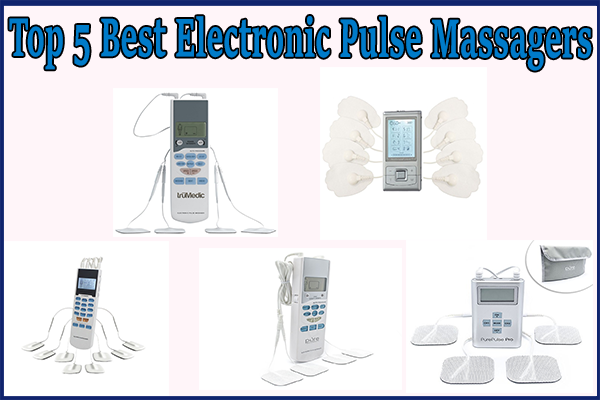 Fortunately, another solution exists in the form of electronic pulse massagers, which can be used anywhere, including at home to provide you with a soothing massage. 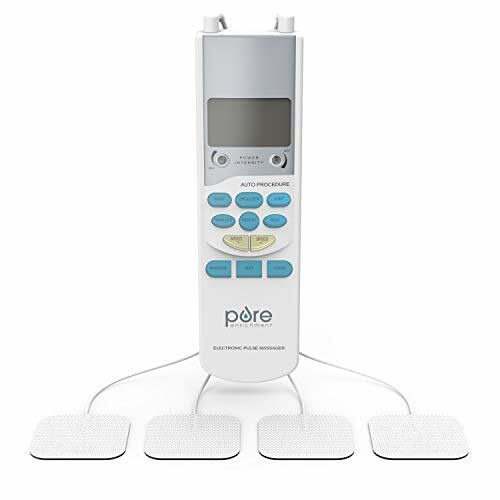 PurePulse Electronic Pulse Massager comes with a dual channel controller, which allows you to easily control the intensity and stimulation method of the device. It is also equipped with an LCD screen display, where all the important information about the device is displayed. – The massager is slightly under-powered, and thus might be ineffective when targeting a large area of the body. 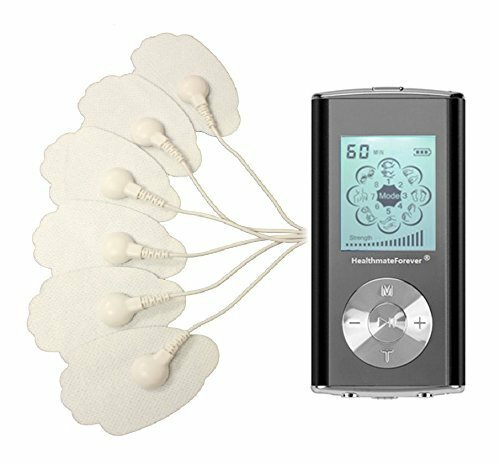 TruMedic TENS Unit Electronic Pulse Massager is a lightweight electronic pulse massage devices that is equipped with the advanced TENS (Transcutaneous electrical nerve stimulation) technology. The massager also comes with an electronic pulse massage feature, making it very effective in relaxing and soothing muscles, relieving muscle pain, and stimulating the nerve endings of the body. The unit is equipped with 5 automatic programs and 3 different massage settings, allowing you to use it on different parts of the body. The speed and intensity of the massage modes are also adjustable. 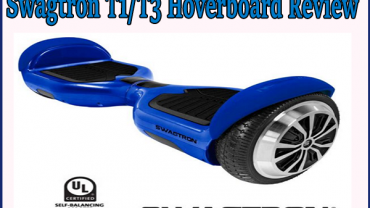 – It comes with an LCD display that provides important information and buttons that are clearly marked to ensure you have an easy time when using it. 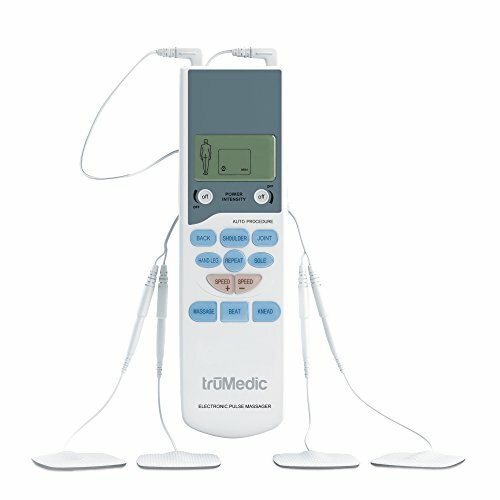 Digital Pulse Impulse Massager Machine is an electric massage device that uses the TENS and EMS stimulation techniques to provide an effective massage therapy session. The unit is equipped with 6 different massage modes, whose intensity can be adjusted by up to 20 levels. It also features a built-in timer that allows you to preset the length of your massage session (between 10 and 60 minutes). 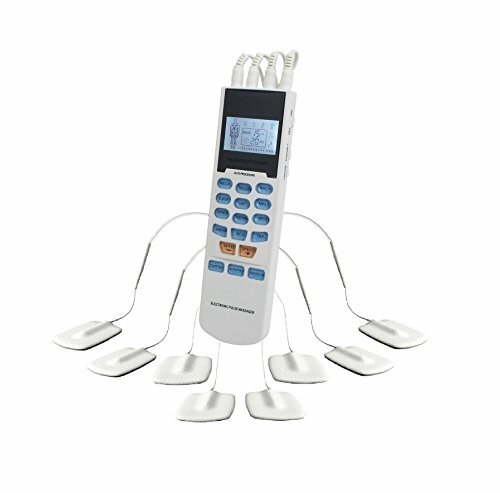 Digital Pulse Impulse Massager Machine comes with a dual channel function, and features 8 self-stick pads that can be used at the same time. OTC HealthmateForever Pulse Massager is an electrotherapy massage device that uses TENS muscle stimulation technology. It comes with 8 self-adhesive pads that can be used at the same time using two independent channels. The unit comes with 15 pre-programmed massage modes and 20 adjustable intensity levels. It also features a built-in timer, with a default timer of 80 minutes. 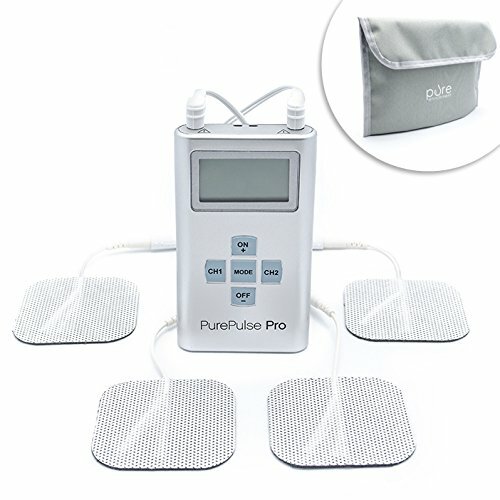 PurePulse Pro Advanced Muscle Stimulator is an electronic massager that uses TENS muscle stimulation technology to provide professional quality massage therapy. The unit comes with 25 adjustable levels of intensity, which allows you to customize it for different parts of the body. It is also comes with a built-in timer that allows you to control the length of your session (between 5 and 60 minutes). The massager features 8 pre-programmed massage modes, which are designed for different areas of the body. Chair massaging devices are one of the most common types of electronic massagers. They come in two forms: chairs that have built in massagers or portable massage devices that can be attached to specific parts of a chair. Chair massagers allows for easy access to specific parts of the body, for example, the shoulders, neck, head, and legs. In addition, they allow you to sit down and relax while you enjoy your massage. Head massagers, which are popularly known as scalp massagers are another common type of electronic massage devices, and they have become increasingly popular in the past few years. Scalp massagers are designed specifically for the head, and they are very helpful in alleviating headaches. The light touches of some scalp massage devices can also stimulate the nerve endings located on the head, which releases endorphins into your body and helps to improve your moods. In addition, scalp massagers are very effective in stimulating growth of new hair, making them ideal for people with thinning hair problems. Neck and shoulder massagers are designed for use on the neck and shoulder area. These massage devices provide a soothing effect, which helps to relax your body as well as alleviate any kind of pain in these areas. Some types of neck and shoulder massagers are also equipped with heat, which mildly heats your muscles to help relax and soothe them. Electric foot massagers are another popular type of massage devices that are available on the market. They are designed for use on the feet area, which helps to relax the muscles, alleviate pain, improve your moods, and improve blood circulation. Some types of foot massagers are also come with a heating mechanism, which helps to relieve muscle tension in your feet more quickly.